If you're looking to naturally enhance your health and take care of your body, you've come to the right place. We are dedicated to providing the supreme oriental health care to the community. Traditional Chinese Medicine, with individualized and holistic approach to healing, has been practiced thousands of years in China, from mind to body, to restore the body back to natural balance and harmony. We primarily provide Acupuncture and Herbal Medicine services, together with other adjunct modalities such as Moxibustion, Cupping, Tui Na, Gua Sha, etc, if necessary. We always choose products with the highest quality. Our sterile disposable fine needles assure the patients with smooth painless manipulation and excellent therapeutic effects. Our herbal products are made in facilities in compliance with current Good Manufacturing Practices (cGMP) set forth by the United States Food and Drug Administration, sulfite-free, pesticides and heavy metal tested and even organically grown if available. 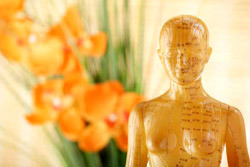 We diagnose the patients’ health issues by the most traditional way in Chinese medicine. Personalized acupuncture point prescriptions and classic herbal formulas are used to treat patients. Depending on the situation of the patient and considering the strength and weakness of different modalities, a most therapeutic and cost-efficient plan will be made. Patients are being seen in private rooms in a timely schedule, thorough intakes and treatments are done by licensed practitioner. The quiet, relaxing and peaceful environment ensures patients always receive the best health care from the clinic. Lifestyle and diet consultation are integrated into the treatments if needed. Let us help you transform your vitality and your life for the better and enjoy yourself along the way. Thanks for visiting, and have a great day.